I love the "Best of" posts that pop up around the new year when my favorite bloggers repost their best stuff...just as a reminder or in case I missed it the first time. My most popular post of the year was Sweet Pea's Very Hungry Caterpillar Skirt that I made for her first birthday in March. Since she's on the small side she can still wear the outfit, although the shirt is getting a little small. 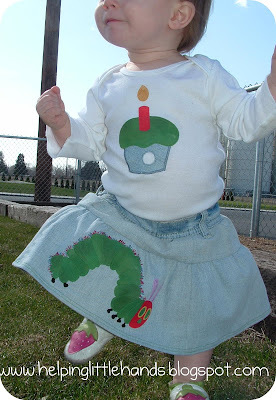 You can find the caterpillar applique here, the cupcake shirt applique here, the tutorial for the upcycling the skirt from a pair of jeans here, and the Very Hungry Caterpillar cupcake cake here. 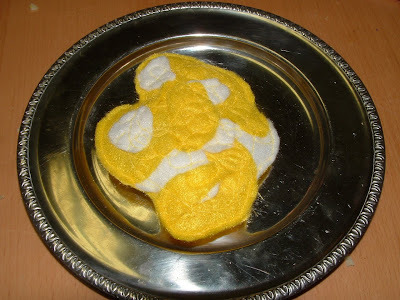 Several of my other top posts for 2010 were different felt food tutorials. I spent a month or two early in 2010 making felt food and posting patterns and tutorials, and those felt food tutorials were when I first started really gaining followers. I still haven't made the the play kitchen I've been planning, but I'm REALLY going to try to get that done for Sweet Pea's birthday this year. Some of my favorite felt food were the ones I had to figure out myself or that I changed to be unique from others I saw out there. I had fun figuring out how to make the blueberries in my blueberry muffins. And figuring out a way to make the felt scrambled eggs. 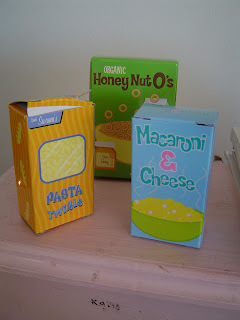 Although they aren't felt food, I was pretty happy with figuring out how to make our cardboard food boxes last. (You'll want to check this out if your kids got cardboard play food this Christmas.) Ours are still looking just as good as they did last Christmas...so this project has stood the test of time at our house. 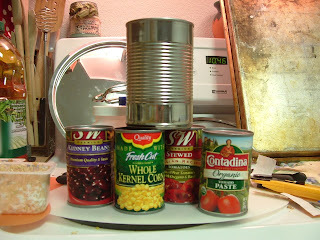 And I loved the mini-canned food made from tomato paste cans. I considered it a pretty high compliment when my father-in-law saw them and asked, "They really make Campbell's soup that small?" 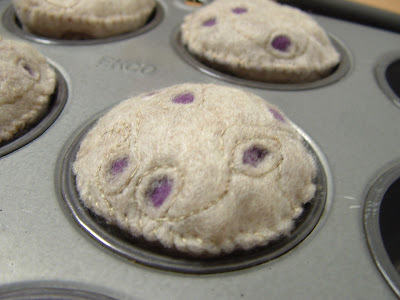 You can see a complete list of my felt food tutorials in my left side bar. 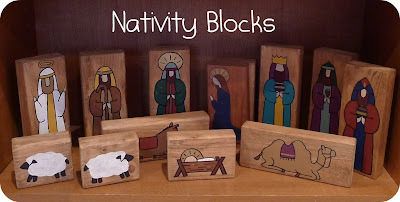 I was really pleased that my Nativity Blocks made it into my top 10 posts, even though it's a pretty recent post. They're not technically a 2010 project since I made them years ago, but I love them anyway. This is the kind of project you could do now and be ahead for next Christmas. As in the waist of the pants, not your own waist. 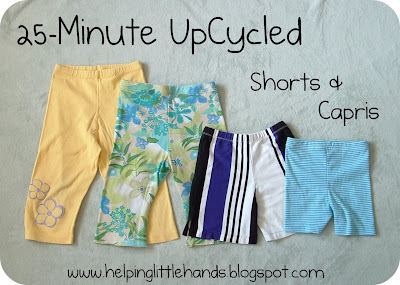 I owe the popularity of this post mostly to a "clever" title, but How to Drop a Pant's Size might come in handy for you if you're looking to lose weight (like I am) this year. The 25-Minute Upcycled Shorts and Capris Tutorial has been quite popular. I used the same technique just before Christmas to make pajama bottoms for the kids. It's SO easy and SO versatile. 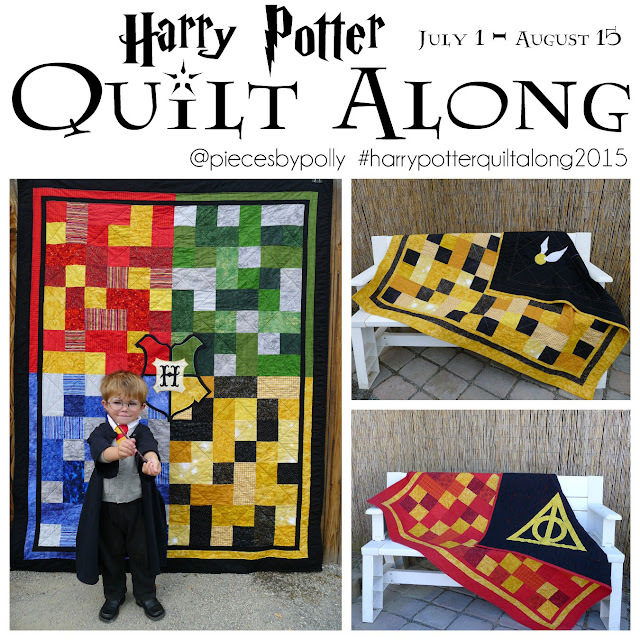 I've shared a lot of applique patterns, mostly using upcycled knits. 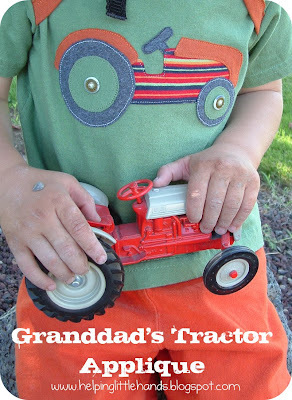 I'm not sure which ones has been the most popular with readers, but one of my favorites are the ones I made to look like a model tractor from my Granddad. You can see a list of my applique patterns in my right side bar. I'm sure there are some other posts I'm leaving out. 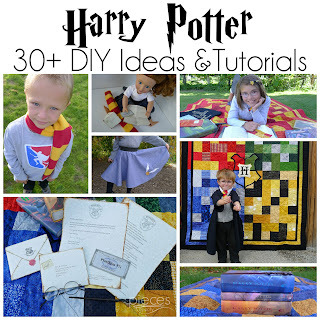 In fact I know there are because I haven't shared a single kids' craft or preschool idea here. Maybe they'll get there own post in a few days. For now, it's Christmas break and I'm going to go play with my kids. I hope you have a great New Year's Eve tonight and a wonderful start to your New Year tomorrow. These were great posts, for sure. Thanks for sharing so many wonderful ideas in 2010! You're amazingly clever! Thanks for all the awesome craft ideas! !